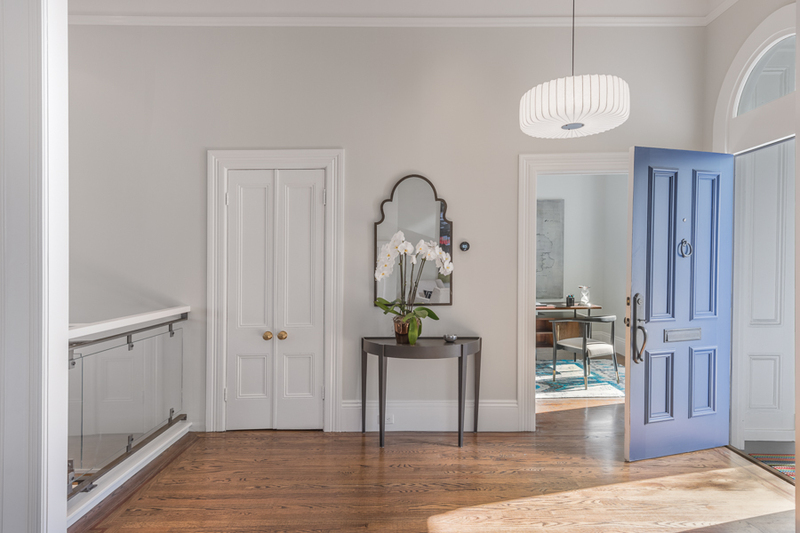 Behind this stunning Victorian façade is a light-filled contemporary home that effortlessly blends an open floor plan with traditional elements. 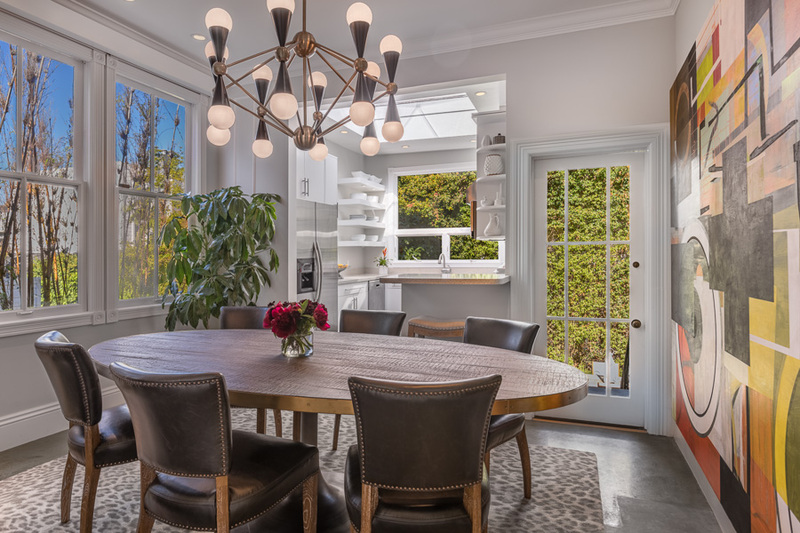 The home has been thoughtfully redesigned allowing for natural light to fill the home and is appointed with three bedrooms, three and one-half bathrooms, and approximately 2,305 sqft*. 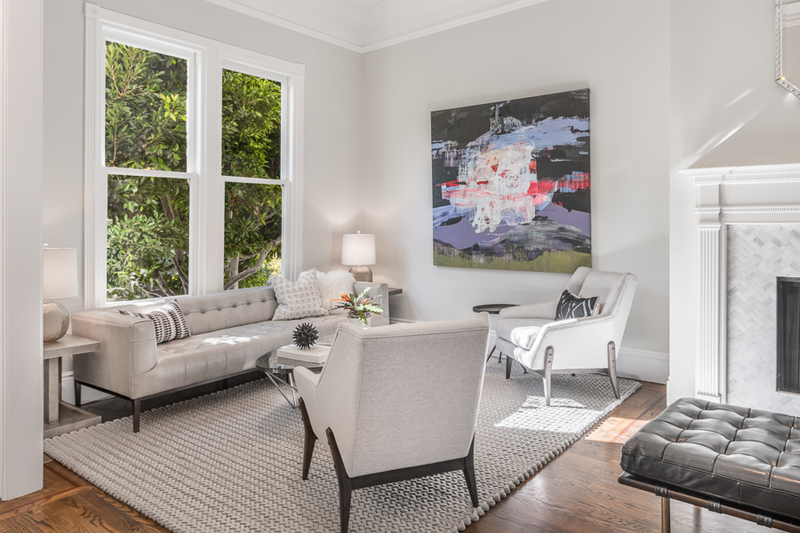 Details include 11’9” ceilings, oak hardwood floors, crown molding, and vintage brass hardware. The main level has been opened up creating a natural flow between the entertainment spaces, which is further enhanced by the scale afforded by the wide lot. The living room and family room are divided by a gas-fueled wood-burning fireplace adorned with herringbone patterned carrera marble. A concrete floor provides separation between the family room and dining room, adding a modern touch to the interiors. 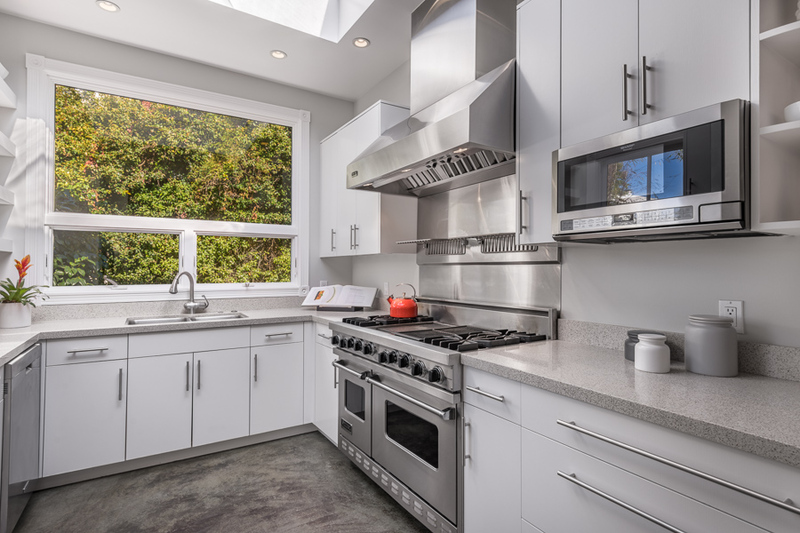 Beyond the dining room rests the chef’s kitchen featuring stainless steel appliances, a Viking range with dual ovens, a grill, and griddle, and a skylight that warms the room with light. 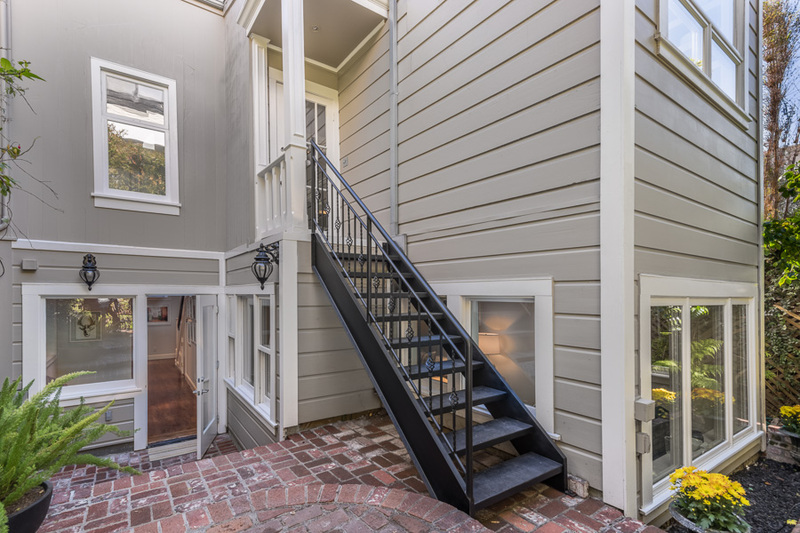 A door is conveniently located off of the dining room providing direct access to the yard below. Completing this level of the home is an office, powder room, and spacious guest suite. 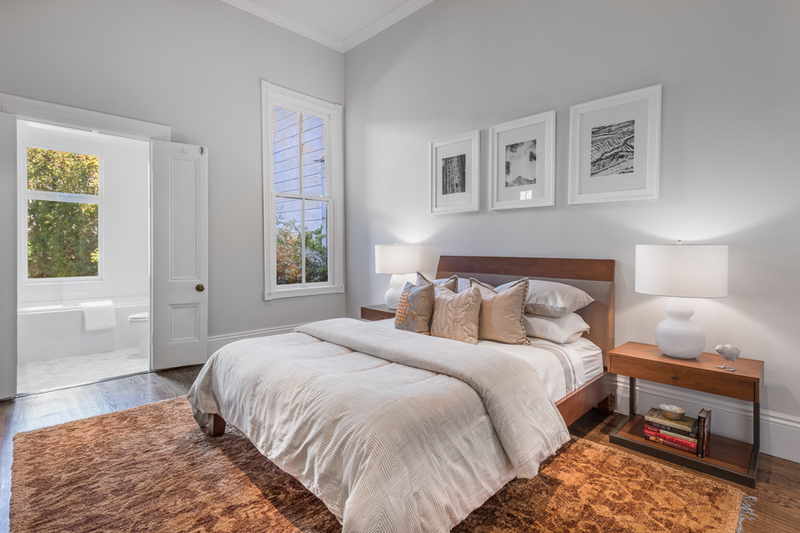 The guest bedroom overlooks the garden and includes a bathroom with a European-style soaking tub/shower and timeless finishes. 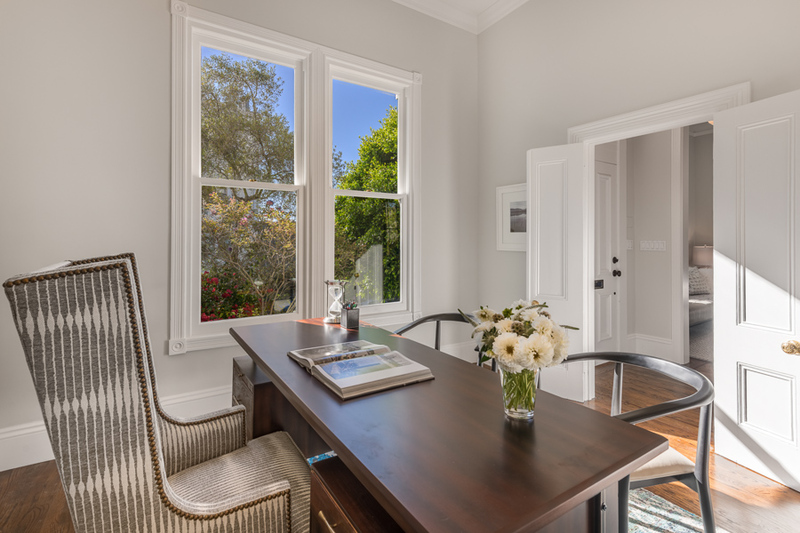 The home office is located in the front of the property with outlooks to the front yard and access to an attached powder room. Not to be overlooked is a large attic space, which is accessed from a pull-down ladder in the guest bedroom. A glass paneled staircase leads down to the second level of the home, which is host to the master suite, third bedroom, and laundry room. 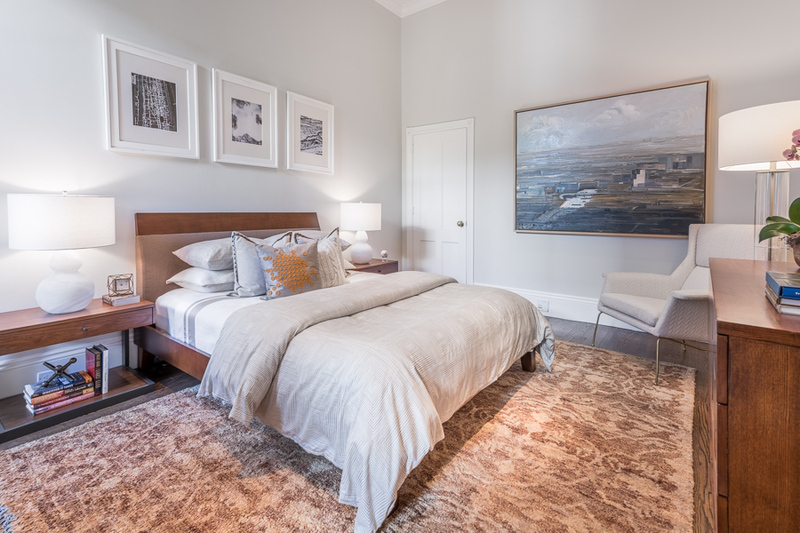 The master suite rests in the rear of the home and is a true retreat with a spacious sitting room, walk-in closet, and en-suite bathroom. The bathroom has been renovated with dual sinks, a glass-enclosed walk-in shower, and elegant stone and tile finishes. Down the hall is the third bedroom, which overlooks the front yard and is serviced by a full bath. The bathroom has been designed with white subway and Carrera honeycomb tiles as well as a deep soaking tub. Dividing the bedroom and bathroom is the laundry room with side-by-side washer/dryer. The yard is easily accessible from both levels of the home and offers incredible privacy. The mature landscaping provides shelter and invites indoor/outdoor entertaining. The attached garage includes parking for one car, additional storage, and interior access into the home. 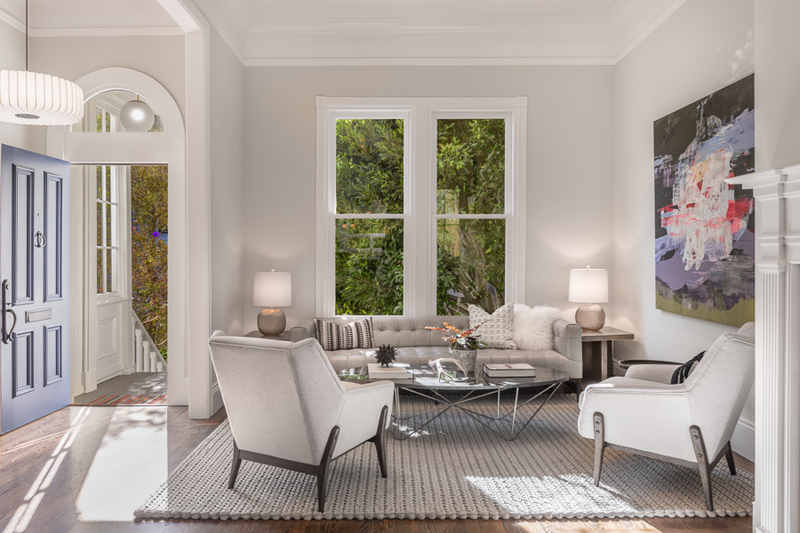 2206 Pine Street is perfectly positioned on a great block in Lower Pacific Heights just a ½ block from the Fillmore Street corridor, which is host to numerous restaurants, cafes, boutiques, and conveniences. Neighborhood favorites include SPQR, Out the Door, Kiehl’s, The Grove, Mollie Stone’s, and Pizzeria Delfina, to name a few.